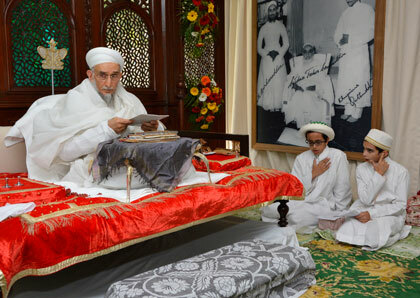 Syedna Qutbuddin TUS presided over Imam-uz-Zaman SA Milad Mubarak Majlis in Darus Sakina. He chose this occasion for taking the first misaaq of Mumineen as Dai al-Mutlaq. 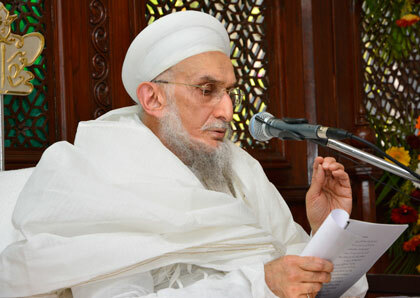 In his bayaan, Syedna explained the importance of misaaq as a religious ceremony that establishes a spiritual connection between the believer and the Imam through his Dai. The misaaq is the path to Jannat. He highlighted the meaningful coincidence that Syedna Taher Saifuddin RA also took the first misaaq of Mumineen after becoming Dai on the 4th of Rabiul Aakhar, after Syedna Abdullah Badruddin RA’s wafaat on the 10th of Rabiul Awwal. 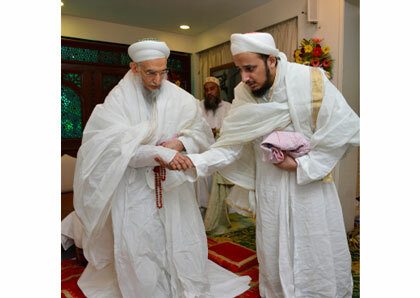 Syedna Qutbuddin’s bayaan emphasized the necessity of the Imam’s presence in every day and age for the salvation of mankind. And just as the sun rises and sets, when the sun of Imamat (Imamat na aftaab) sets - when the Imam goes into seclusion - it is necessary that his Dai is present amongst the people to guide them. As such, the sequence (silsila) of Dai-s began after Imam Tayyib SA went into seclusion after the appointment of Syedna Zoeb RA, the 1st Dai, and continued till the 51st Dai Syedna Taher Saifuddin and our revered 52nd Dai Syedna Burhanuddin, who appointed Syedna Qutbuddin as the 53rd Dai-l-Mutlaq. Syedna Qutbuddin also asserted that in history, in periods of uncertainty, Mumineen have trusted and believed the Mazoon-e-Dawat. He narrated briefly the history of Syedna Jalal Shamsuddin RA who was appointed as successor by his predecessor Syedna Yusuf Najmuddin RA. 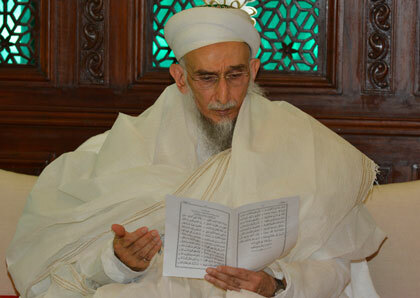 Syedna Yusuf Najmuddin was in Yemen when he conferred Nass upon his Mazoon Syedna Jalaal, who was in Ahmedabad. Before the messenger reached Ahmedabad, Syedna Jalaal saw a dream in which the Imam informed him that Syedna Yusuf has passed away and had appointed him as his successor. Syedna Jalal, then Mazoon, informed the Hudood of his dream. The Hudood and Mumineen believed Syedna Jalaal and submitted to him. Such was the trust Mumineen had in their Mazoon that they acknowledged his position based solely on a vision he had of the Imam. Throughout the bayaan, Syedna Qutbuddin asserted that he is the true Dai appointed by Syedna Burhanuddin by the ilhaam of Imam-uz-Zaman. As the Imam’s Dai, taking Mumineen’s first misaaq is an essential responsibility. 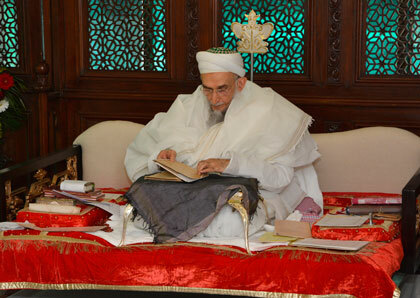 Syedna affirmed that establishment of the Imam’s Dawat and guidance and well-being of the community is his focus. 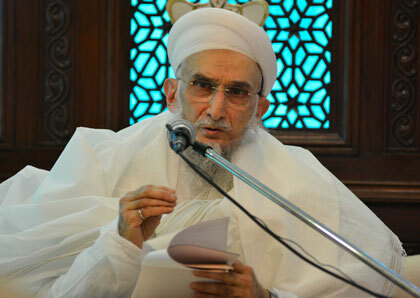 Syedna Qutbuddin asserted that the community’s success and prosperity in Deen and Dunya are both important. Leading a life according to the tenets of Shari’at ensures prosperity in both this World and the Hereafter. He quoted the Imam’s kalaam, “religion is not only prayer and fasting; rather, religion is the building of both Dunya and Aakherat.” Syedna stated that he has many aspirations for – khair-khuwahi – doing good for the community. His aspiration is that all members of the community, not just a handful, actively participate in the building of the community with their expertise, suggestions, knowledge and skills. Syedna prayed for tawfeeq and yaari from Allah TA for this. Many details of this aspiration and vision will be presented on the website in the coming days. Syedna Qutbuddin has advised that a more detailed version of his vision and philosophy of Da’wat -outlining details of jamaat formation, financial management and other issues – be posted on this website shortly. Syedna Qutbuddin led zohor asar namaz and took Misaq of Mumineen who with great himmat faced all challenges to be present at Darus Sakina. 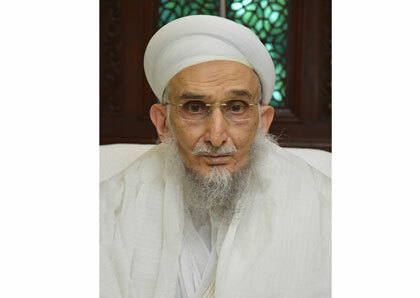 Syedna also took new Misaq of several mumineen children from Mumbai and elsewhere, including the new Misaq of his granddaughter Maryam baisab daughter of Shz. Dr. Abdeali bhaisaheb. 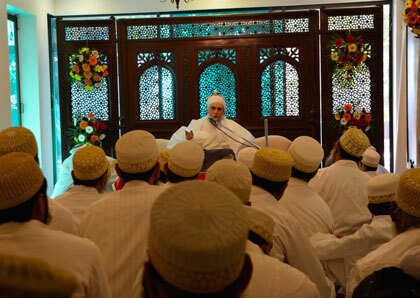 All those who attended gave safaqat and bay’at to Syedna Qutbuddin and obtained sharaf of qadambosi. As per daily custom, Syedna Qutbuddin also presided over the Khatmul Quran Majlis for Syedna Burhanuddin RA, after which Mumineen were served Salawat and Fatiha jaman. During the Misaq Syedna Qutbuddin stated that during the Imam’s seclusion his Dawat is established by 3 rutbas: the Dai and his zeir-i-dast (under his hand) the Mazoon and Mukasir. The latter two are the Imam’s rutbas and he has entrusted their appointment to the Dai. Until the Dai appoints individuals in these rutbas with the Imam’s ilhaam, the Dai ‘carries’ the rutbas, and these rutbas remain with him. At this time, mumineen should acknowledge these two rutbas as rutbas of Dawat and affirm that they will accept whomsoever the Dai appoints to them. With Syedna Qutbuddin’s raza mubarak, Misaq was also taken on his behalf of mumineen in California, Pennsylvania, Chicago and the UK. 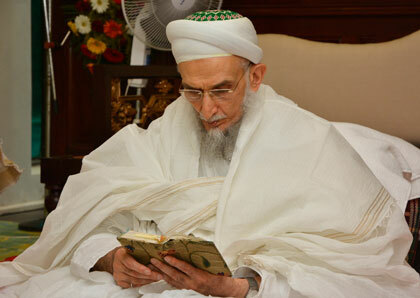 Syedna urged all his followers to take this auspicious and significant religious rite at the earliest opportunity.